Archaeology isn’t just confined to the earth’s surface; in 2013, a huge underwater find made waves in the world of archaeology, and opened up new insight into the past. 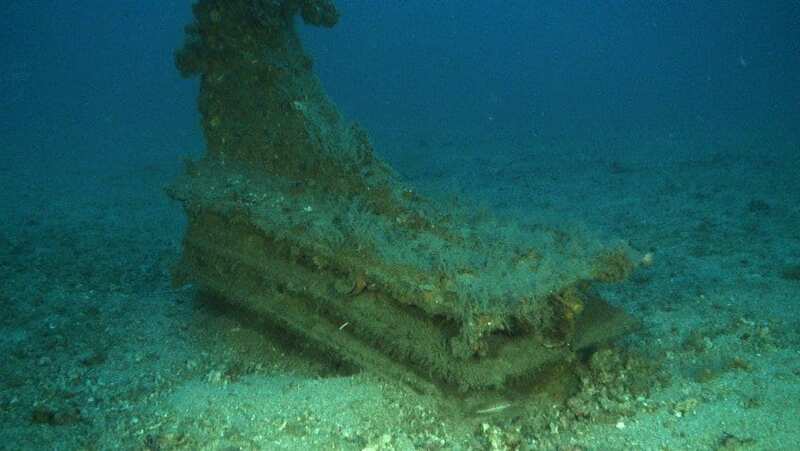 Off the coast of Sicily, 2,000 year old remains were discovered, believed to be the remnants of an ancient battle. 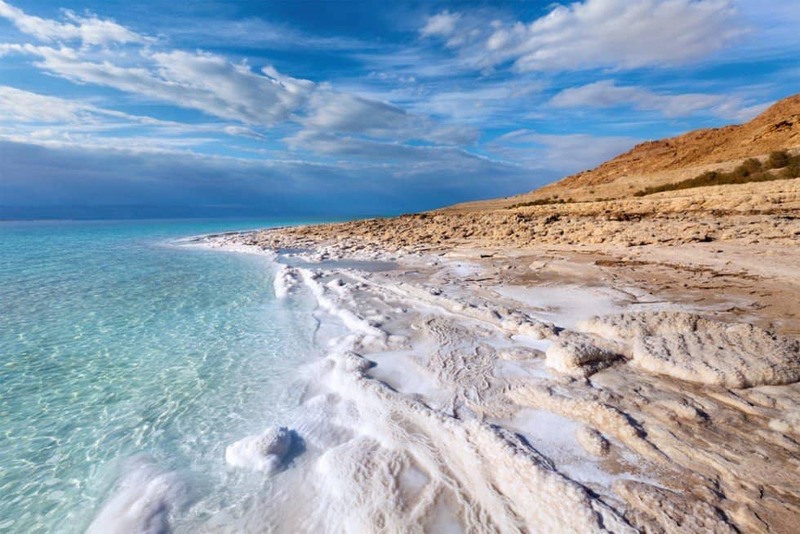 Dating back to 241 BC, the ruins of the Egadi Islands are some of the most ancient known to man, and have opened up new insight for historians across the globe. 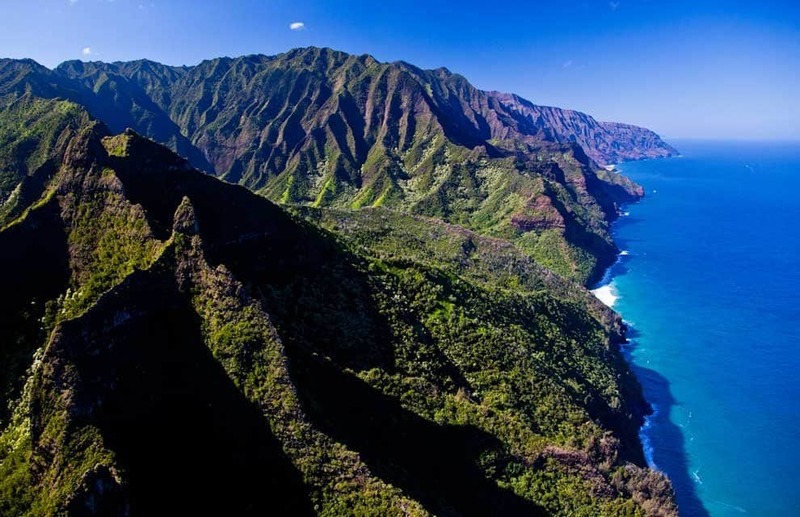 While we might me more familiar with the canyons that shoot up into the sky, there are a great deal more which lie beneath the surface of the ocean. 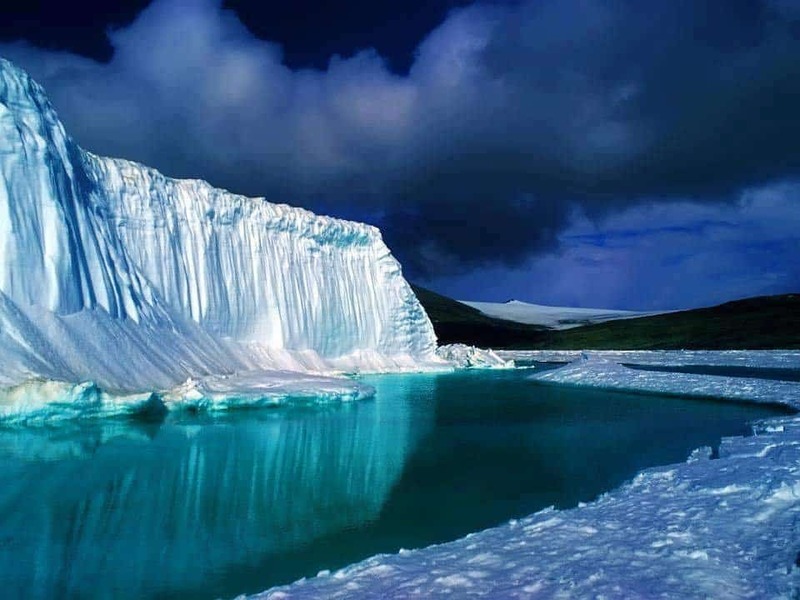 The Zhemchug Canyon is big enough to fit the entire Grand Canyon inside, and can actually be seen from space. 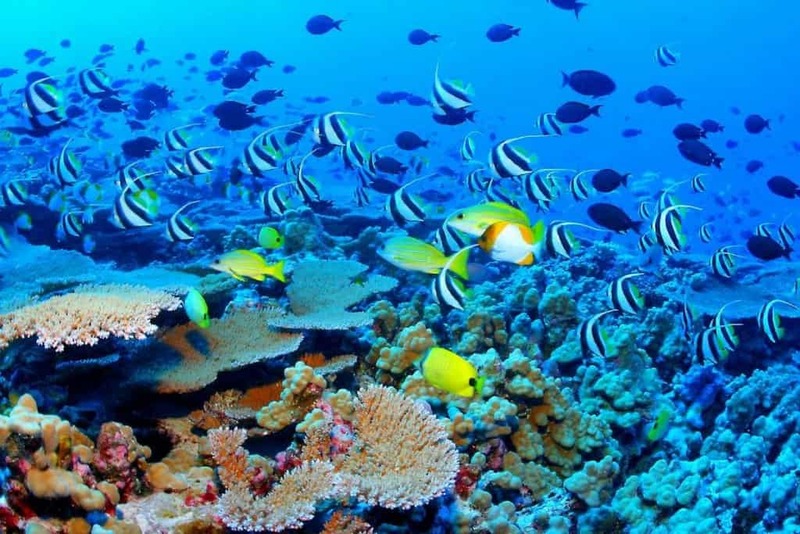 The underwater ravine is home to some of the most diverse wildlife on the planet, and is still being explored today. 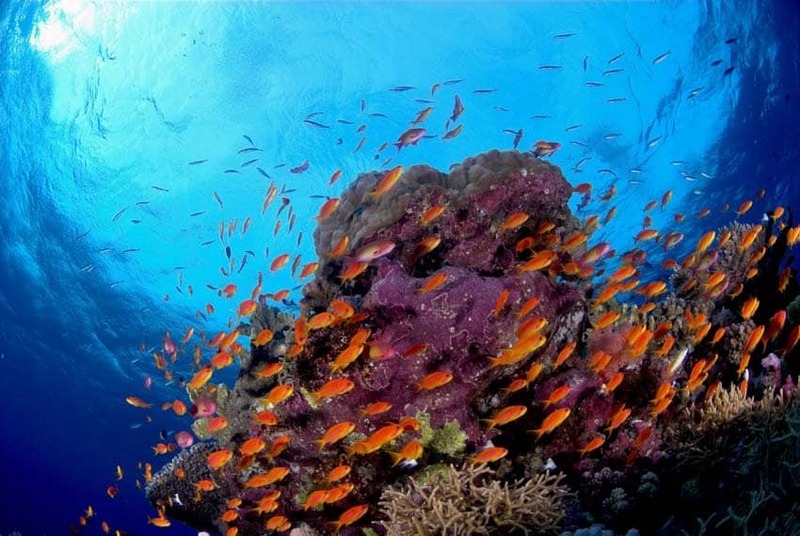 Tragedies of the seas can turn into underwater marvels, given enough time. Just one of many around the world is the Yongala Shipwreck off the coast of Australia. Having sunk in 1911, the ship is now a popular spot for keen divers and researchers, and is home to a huge number of underwater species. 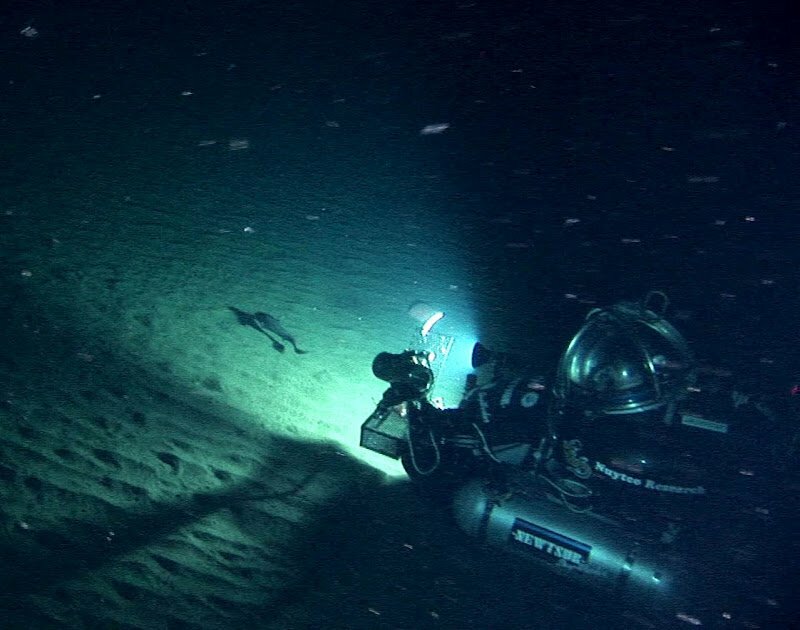 Scientists of the ocean’s deepest regions are just getting to grips with what lies beneath the surface and incredibly, are still discovering new life today. 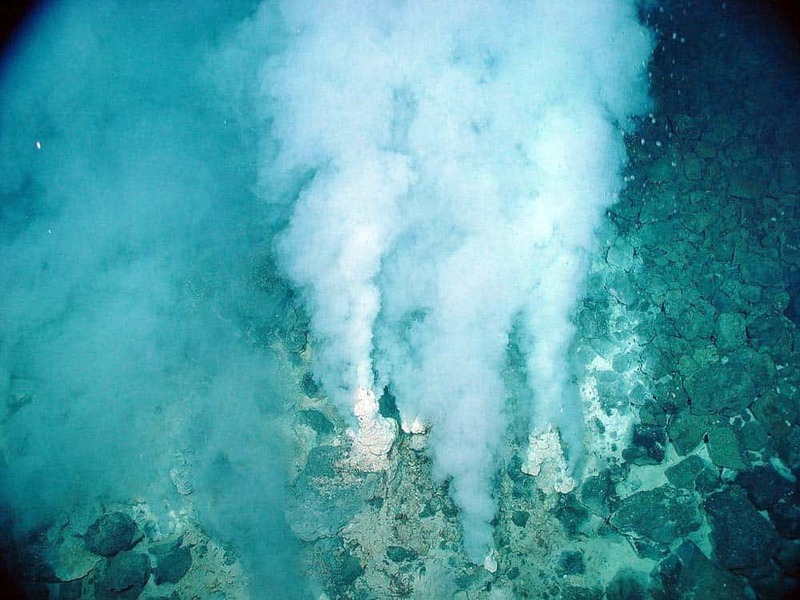 These hydrothermal vents off the Galapagos Islands were only discovered in 1977 and have been the subject of fascination ever since. Shooting out sea water at incredibly high speeds and temperatures, the vents are a rich source of nutrients, lying on the rift between two tectonic plates. There’s no denying the fact that Egypt is home to one of the most fascination historical cultures in the world. If you look under the water, however, you might be surprised as to what you will find. The ancient city of Heracleion lies metres below the water, having sunk more than a millennium ago. 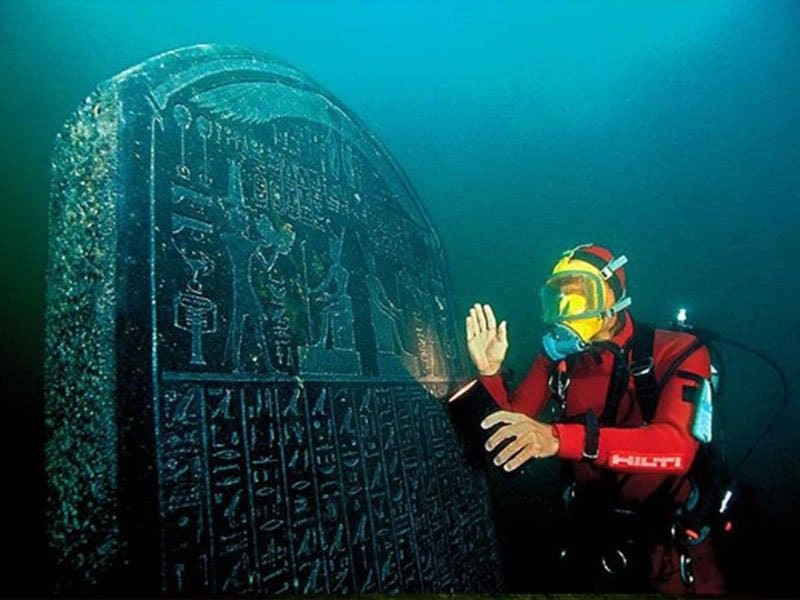 The underwater archaeological site is home to dozens of ancient sculptures, including those believed to have belonged to Cleopatra herself! If you’re afraid of getting too close to a jellyfish’s tentacles, don’t head to Jellyfish Lake in Palau. Part of Palau’s Southern Lagoon, the lake is home to a massive number of golden jellyfish that swim through the water everyday. 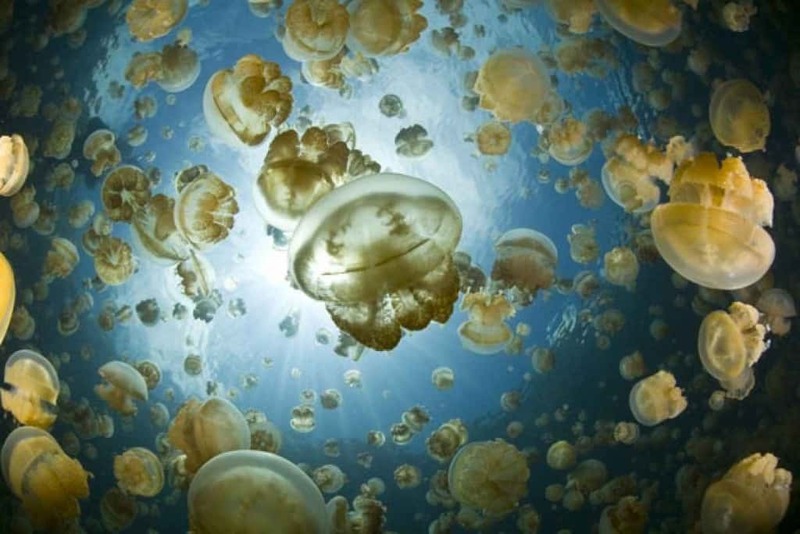 While the jellyfish can sting divers, the strength of their venom is so weak that it can’t damage human skin. The world’s waters are home to some of the most fascinating archaeology around, and are still showing us their treasures today. In 2014, divers discovered the underwater remains of one of the oldest boats in the world, in a Croatian cove. 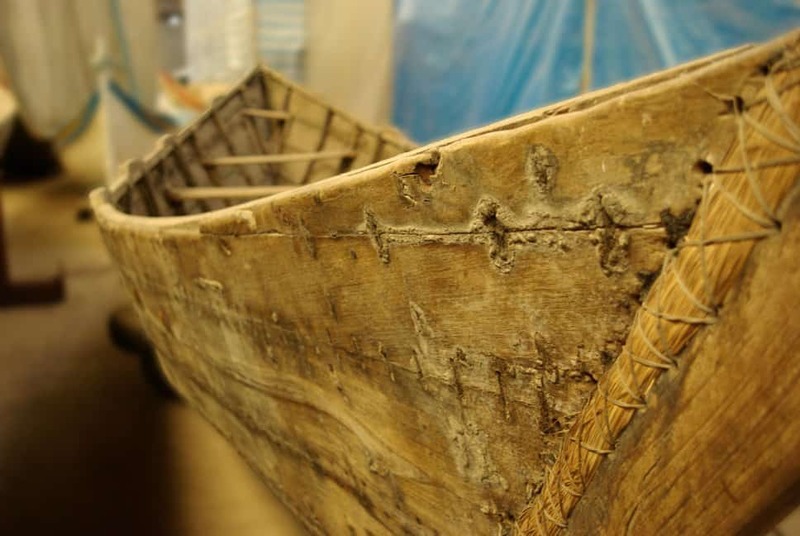 Incredibly, much of the boat was still intact and, despite dating back to 1,200 BC, still had some stitching visible to the naked eye. 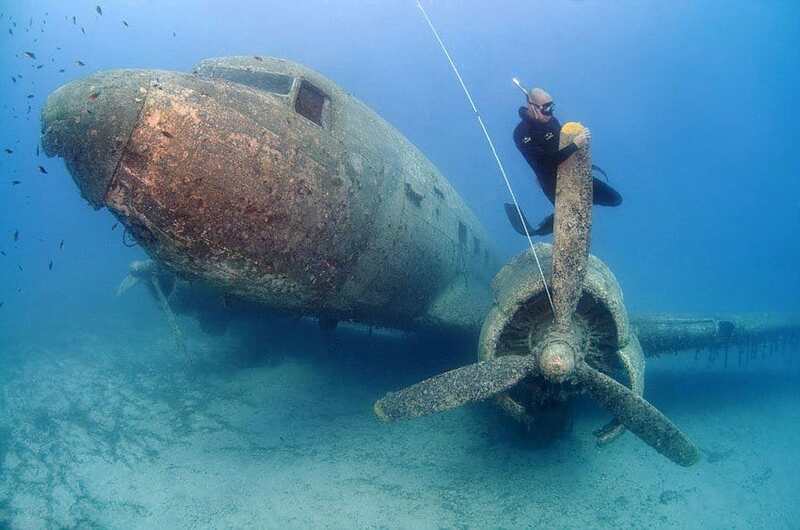 Unlike many other underwater wrecks, the Douglas Dakota DC-3 was intentionally sunk in 2009 for the use of divers around the world. 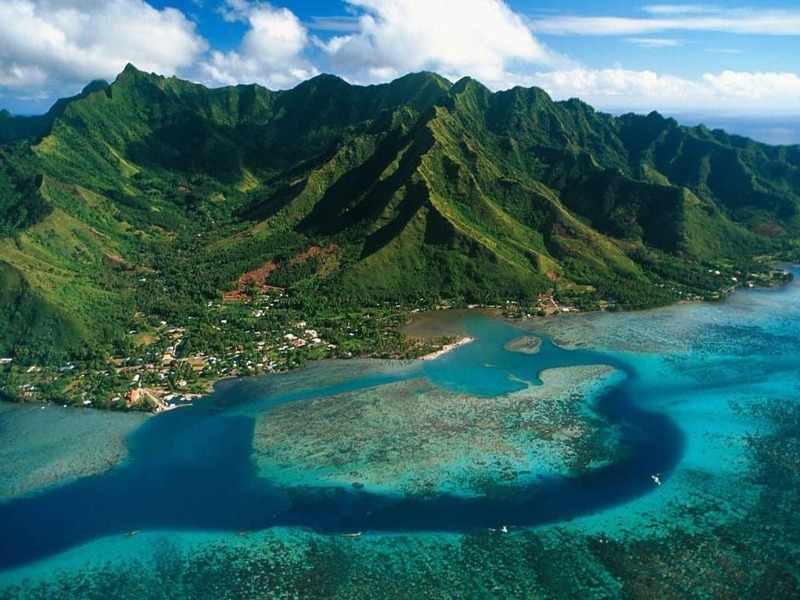 The aircraft can be freely explored by underwater adventurers and boasts and impressive collection of sea life. 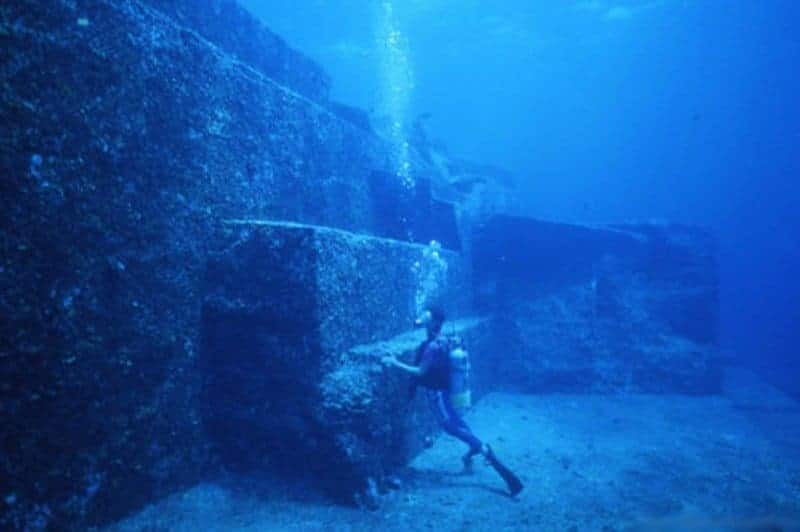 The oceans are home to some of the most enduring mysteries throughout history, and few come more intriguing than that of the underwater ruins off the coast of Japan. 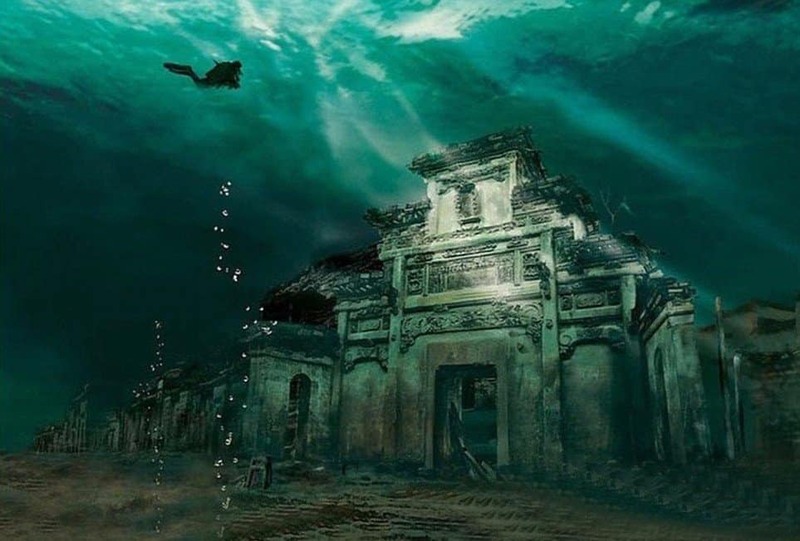 When a diver stumbled across what appeared to be an underwater city in 1995, many believed that it was the site of an ancient civilisation. However, not all agreed and many scientists claimed that the monument’s large blocks were instead caused as a result of tectonic movements. If you like underwater photography, then Dean’s Blue Hole should be at the top of your places to visit. 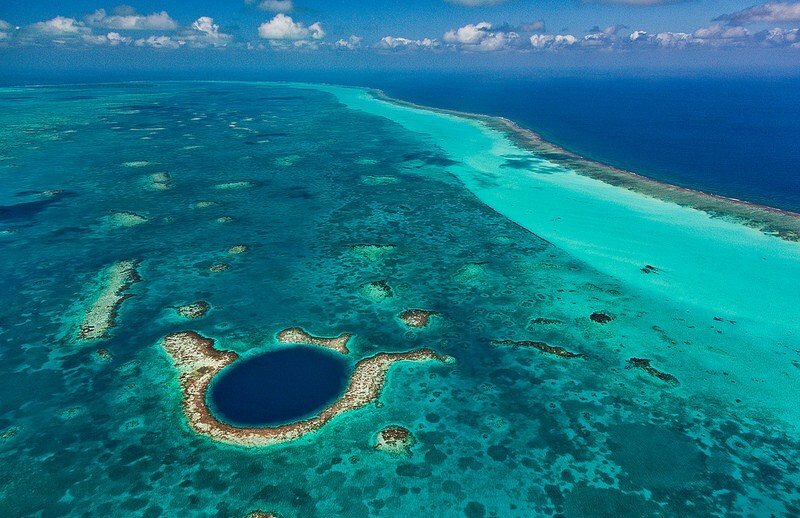 A vast underwater sinkhole, Dean’s Blue Hole is the deepest in the world, and leads to a complex system of underground caves and caverns. 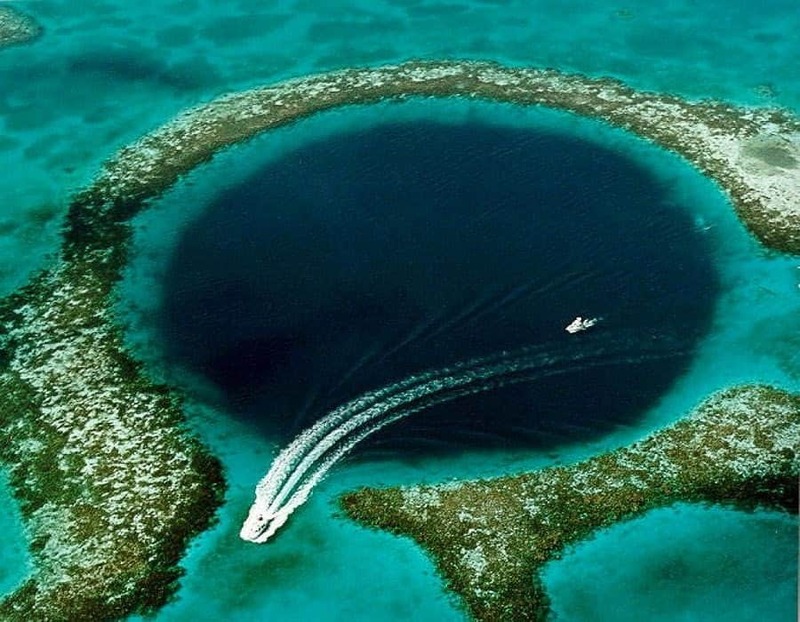 Visible from the skies, the underwater hole is an impressive spot on the landscape, and is sure not to disappoint. Each year, thousands of visitors make their way into the active springs of Iceland, in the hopes of rejuvenating their bodies and minds. 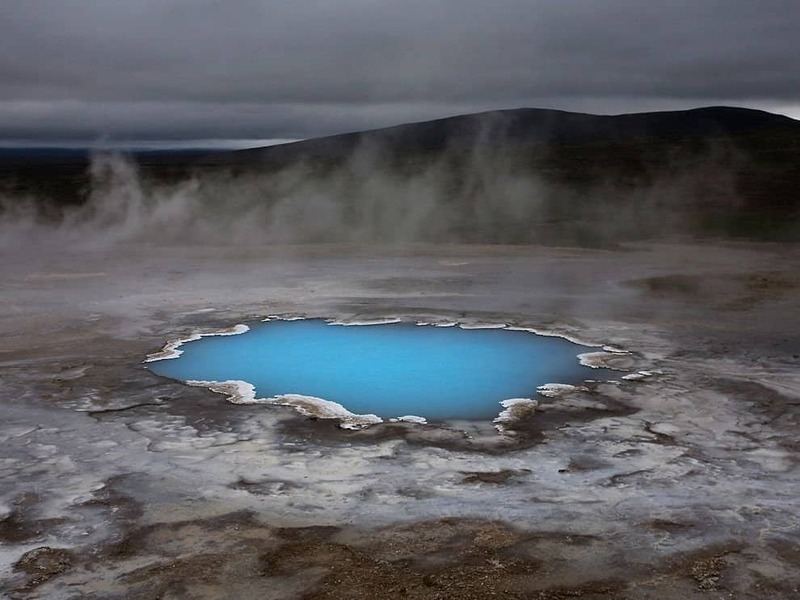 Lying above some of the most geologically active ground in the world, Iceland’s hot springs reach around 37 degrees centigrade, and contain nutrients that are thought to work wonders on the skin! While the world has recovered from the devastation of the Second World War, much of the damage still remains under the waters. When Japan’s main South Pacific base was destroyed by American fighters in 1944, much of the destruction sank below the sea. 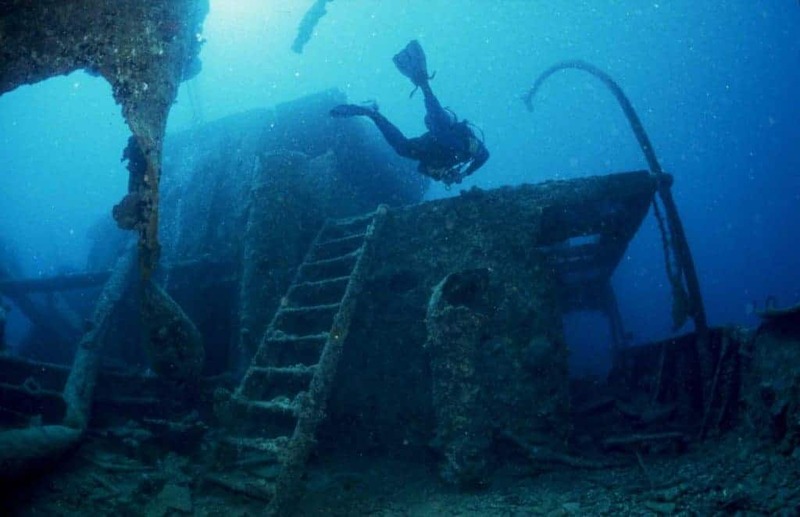 Now, the ship wreckage remains on the sea bed, and is thought to be the biggest ship graveyard in the entire world.